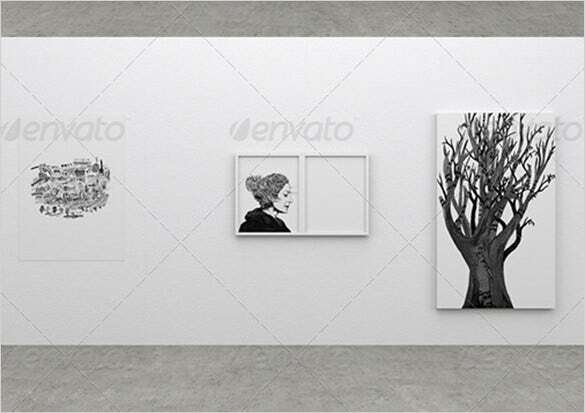 As the name suggests, gallery poster templates and mockups are used mostly galleries. 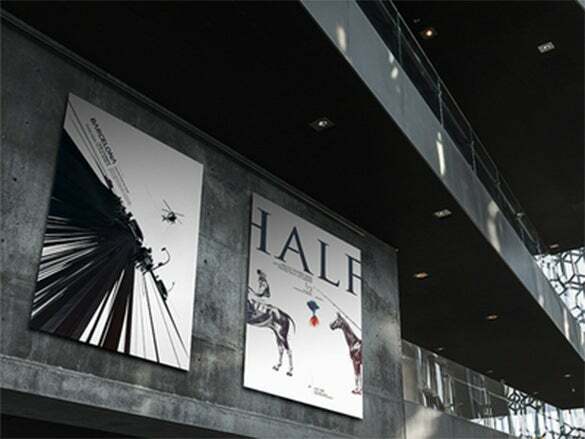 From art galleries to museums these posters are used in several places. Our extensive ranges of a5 poster templates and mockups have been creatively designed and are very well crafted. They are highly popular amongst artist and creative people. 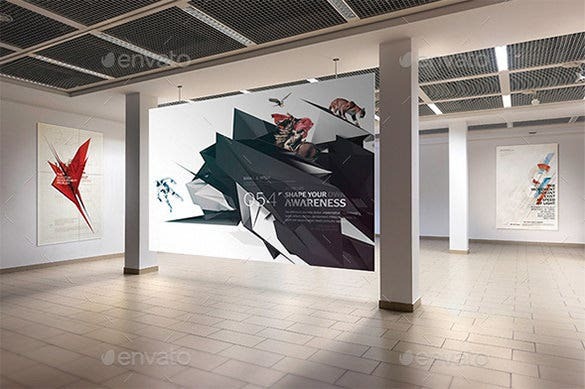 The gallery poster mock up is a beautifully designed gallery poster that can be used in art galleries and museums to advertise a certain product which might interest the people. 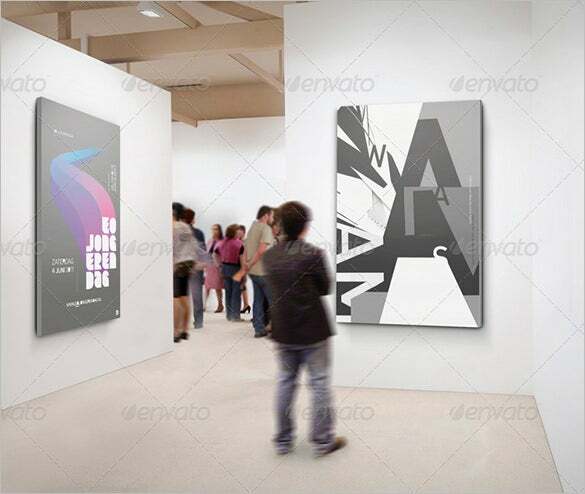 The art gallery artwork poster mock up is an elegantly designed gallery poster mock up that uses the design trend that is used in different art galleries during an exhibition. 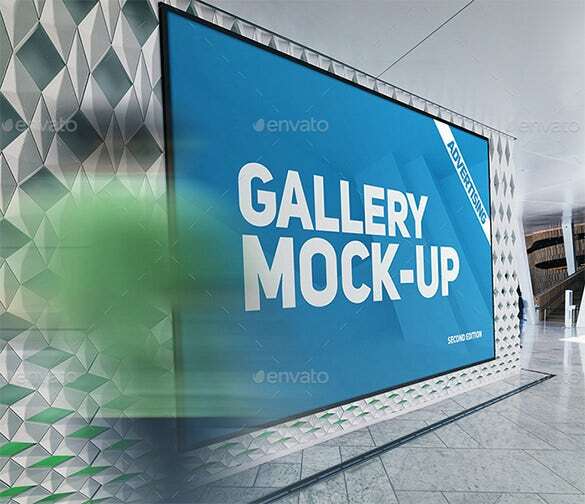 The photorealistic gallery poster mock up vol 2 mock up is a visually stunning gallery poster mock up that can be used to create the perfect gallery posters in the world. 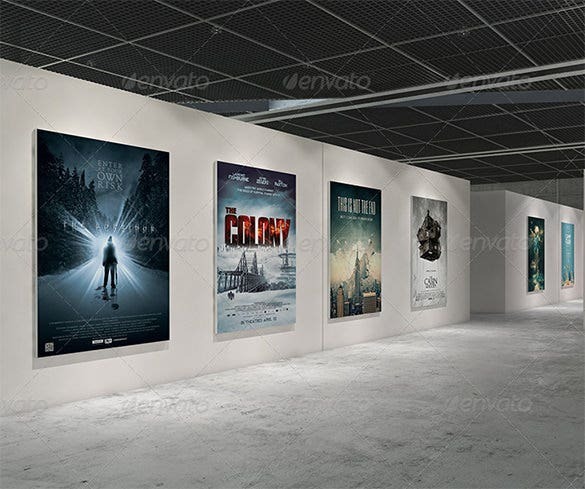 The gallery poster mock up is a beautiful and visually stunning gallery poster that you can avail for only $ 7 and use it to create the masterpiece for the galleries. 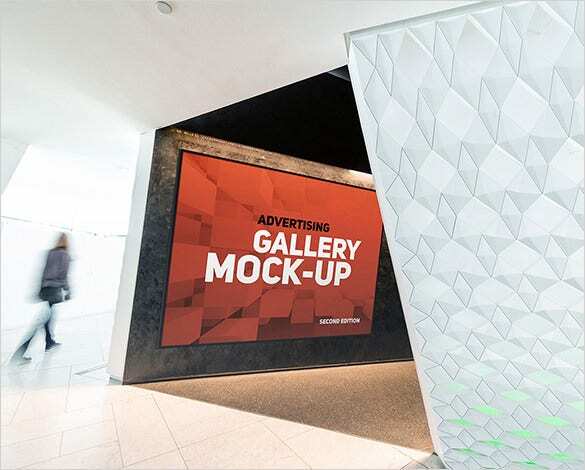 The gallery mock up series is a collection of gallery poster mock ups that are both beautiful and elegant and contains visually stunning images that can be used in the galleries and museums. 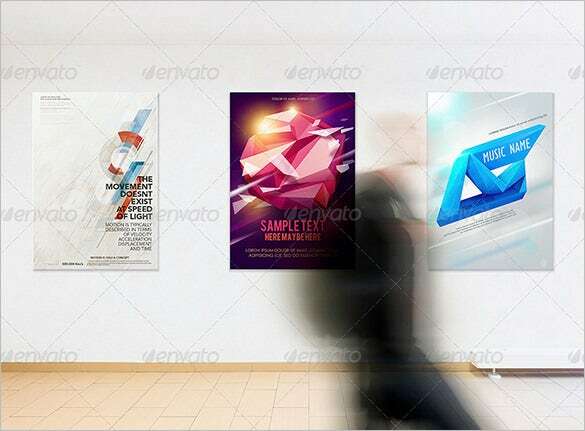 The gallery poster mock up photoshop PSD is a visually stunning and beautiful looking gallery poster created in Photoshop that can be used to create the best and beautiful gallery posters. 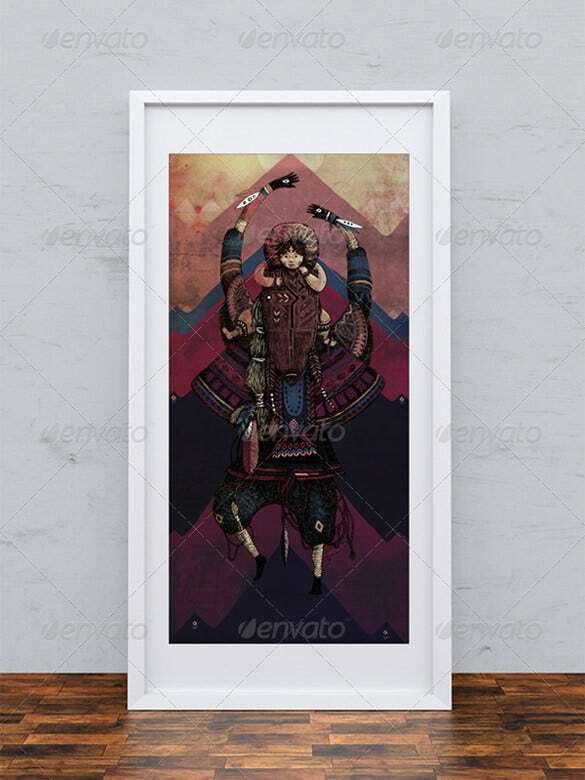 This premium quality vintage poster gallery is fully layered with smart objects to allow easy image and text edits. 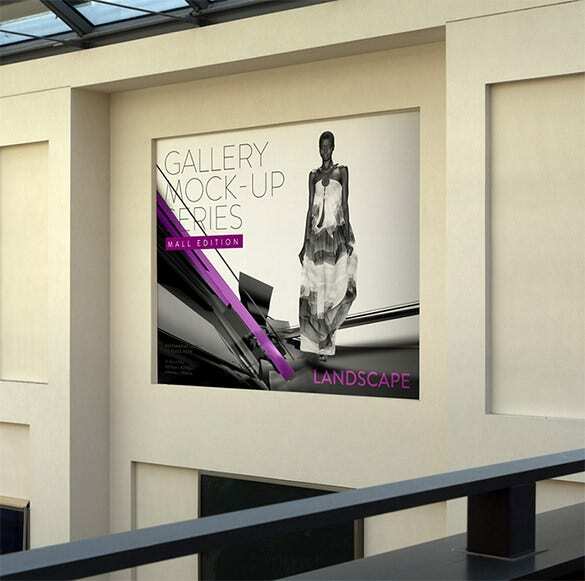 It has a spectacular design which makes it perfect to be used in art museums and galleries. 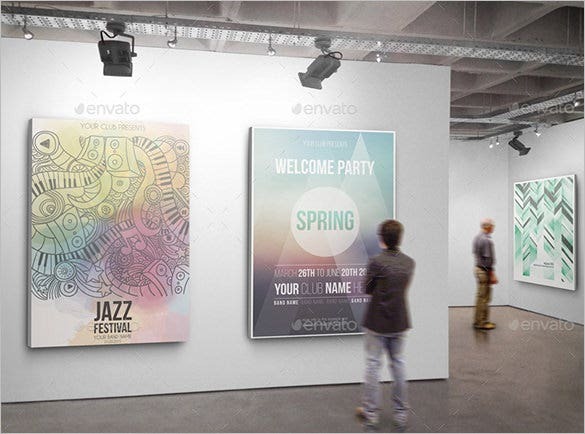 This is yet another collection of poster design mock up that comes with elegant designs that would immediately attract visitors. It has both vertical and horizontal orientation styles and you are free to select one as per your needs. This is a time-effective solution for creating vintage poster Boston due to its relentless number of features. It comprises of 11 life-like template files with digital quality images and organised layers that allow easy edits with just a few clicks. 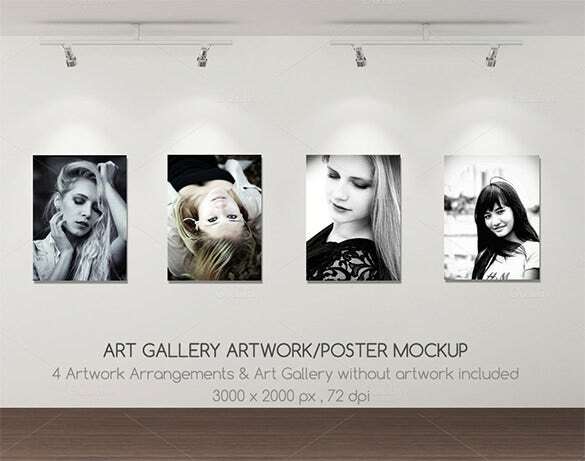 When you are looking for an awesome gallery poster mock up for your next promotional venture, you may have a look at this elegant set. Its beauty lies in the minute detailing and matchless colour combination. Just have a look at this amazing vintage poster gallery mock up with loads of features that make it a viable choice even for a beginner. You may now easily remove people, add your favourite images and scale it to any size. 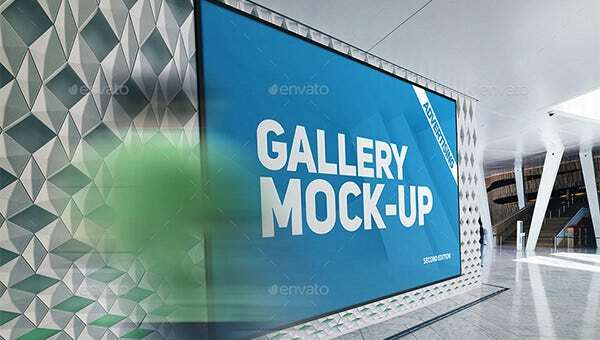 With this gallery mock up poster, you can now adorn your workshop with 16 amazingly designed polish poster gallery that would help you turn on and gallery visitors and edit it in any version of Photoshop higher than CS4. Just have a look at this spectacular erte circle gallery poster set with 9 high resolution poster template files, with highly organised PSD files and Photoshop smart objects included. The resolution is at 2000×2000 px at 300 dpi. 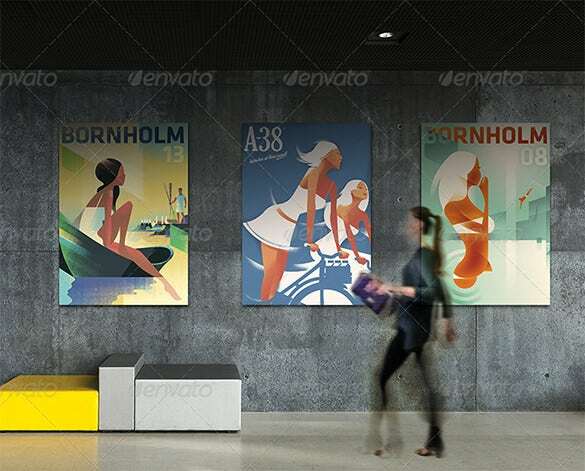 This set of poster Photoshop pictures can help you to remove people, choose between large and small banner styles, vertical and horizontal styles. Since it has a very high resolution with smart objects, you can scale and edit it in a breeze. 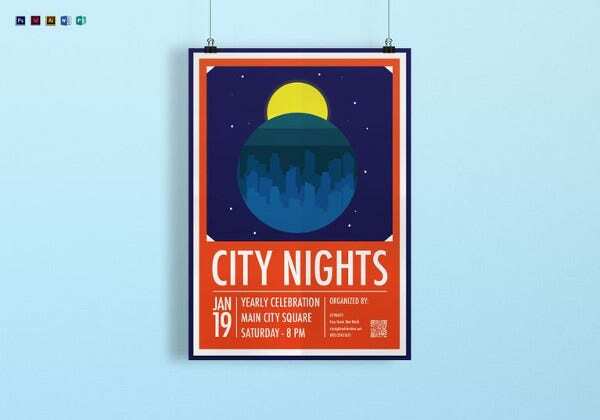 You can now save your efforts and time with this vintage posters Boston and its superior features. It has a smart object system and so you will just have to copy paste your creations into the smart layer and save it and you are all done. This is yet another poster design that would aid you to create an amazing presentation within seconds. This high resolution mock up PSD with high definition colours, fully layered, smart objects that can be used to create any presentation very easily. These templates are available in a wide range of vibrant and attractive colors and shades. Text boxes, pictures and other relevant data can easily be added to these templates. 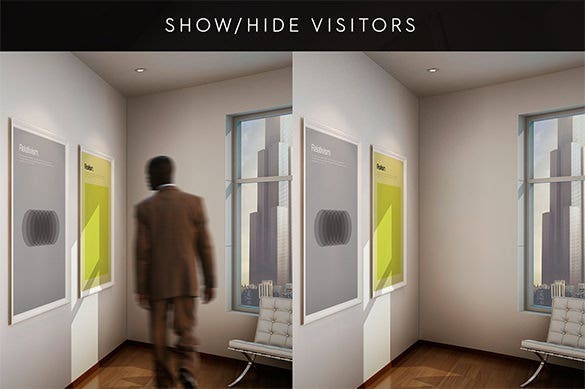 These templates can be displayed inside the art galleries, inside museums, an artist’s studio, a photographer’s studio and several other places.